Our annual poster showcase is located in the quad or walkway between the MSA/MSB buildings, the library, the CE building, and the South Parking structure. This quad is is accessible by elevator from Parking Lot 5, but the easiest access is from the South Parking structure, which has an elevator, and leads north via walkway to the quad area. 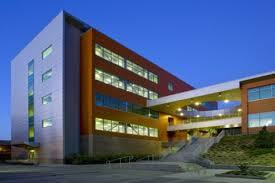 Visitors to West Los Angeles College may purchase a day parking permit at the machines in the parking areas. Visit the college website for a campus map.